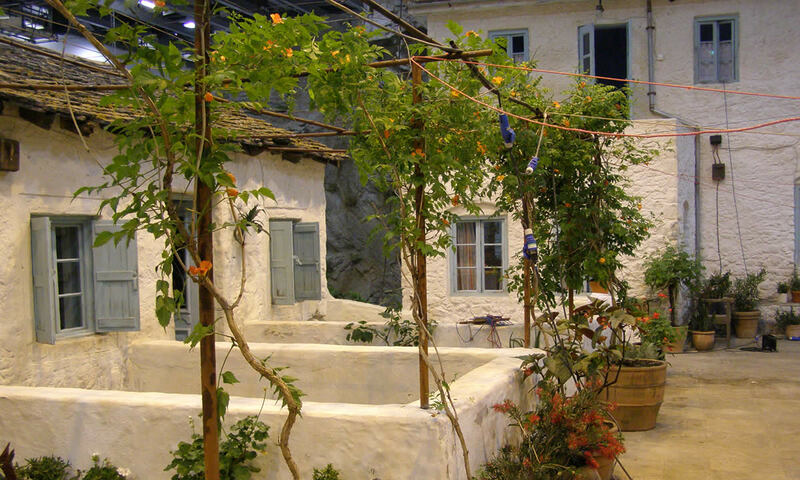 For this hugely popular feature film based around the hits of ABBA we were involved in the creation of a Greek village in Pinewood Studios. 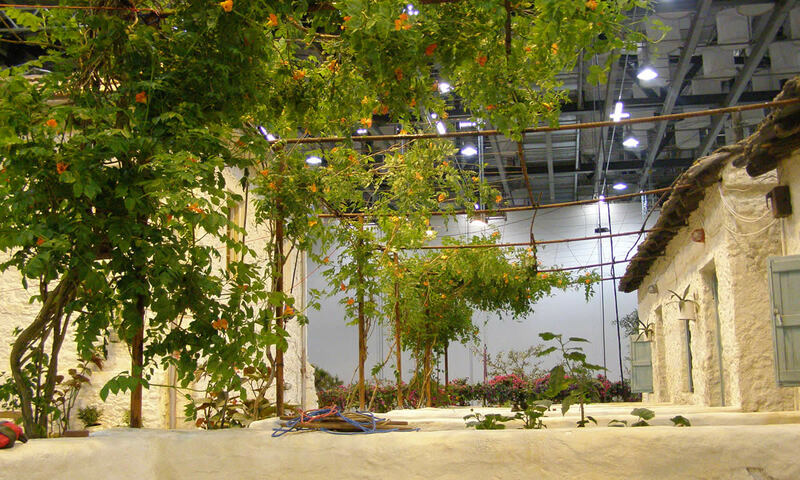 Hundreds of containerised Mediterranean plants were dressed into the set and had to be maintained in the studio with grow lights and a watering system to keep them looking their best over the extended period of preparation and filming. 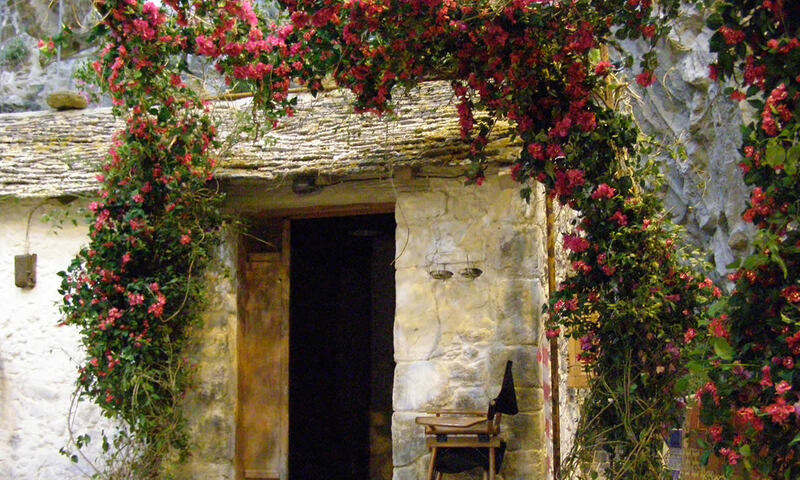 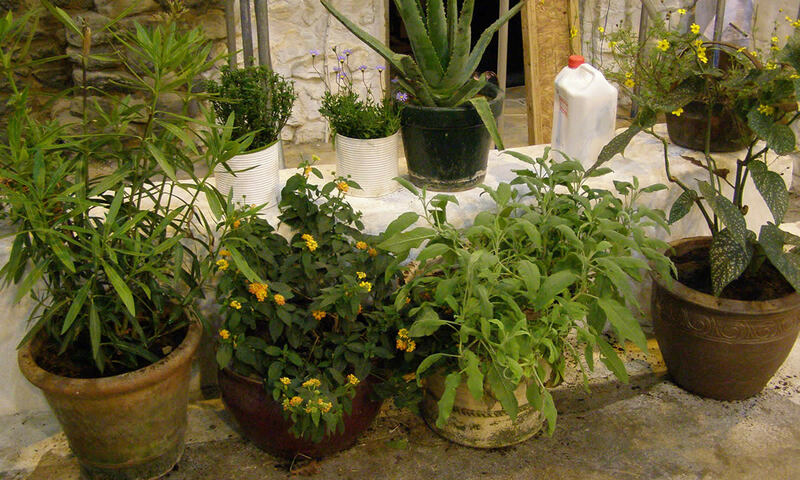 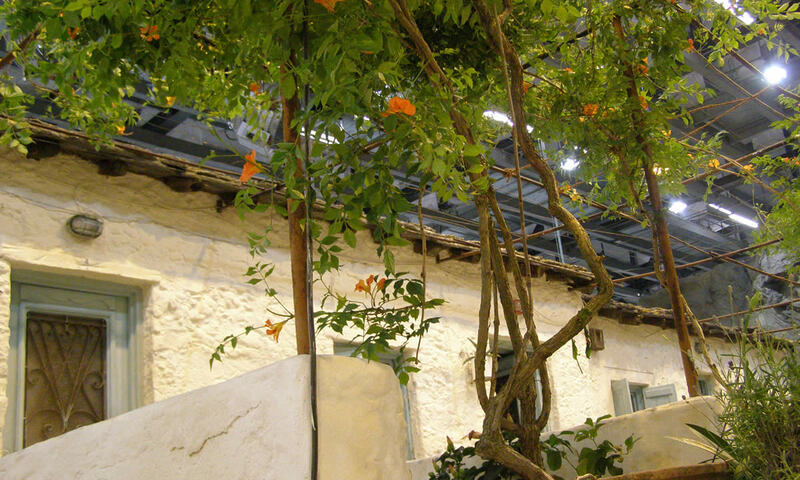 The living plants were supplemented with colourful artificial bougainvillea and Nasturtium, rambling over rooftops and across walls. 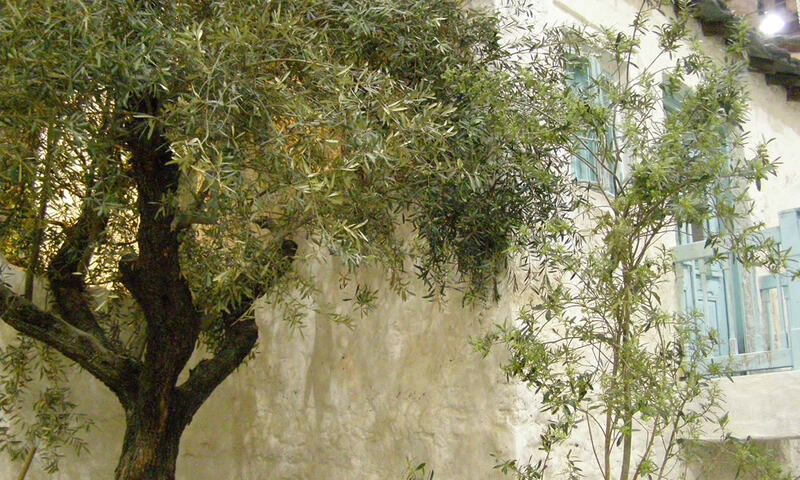 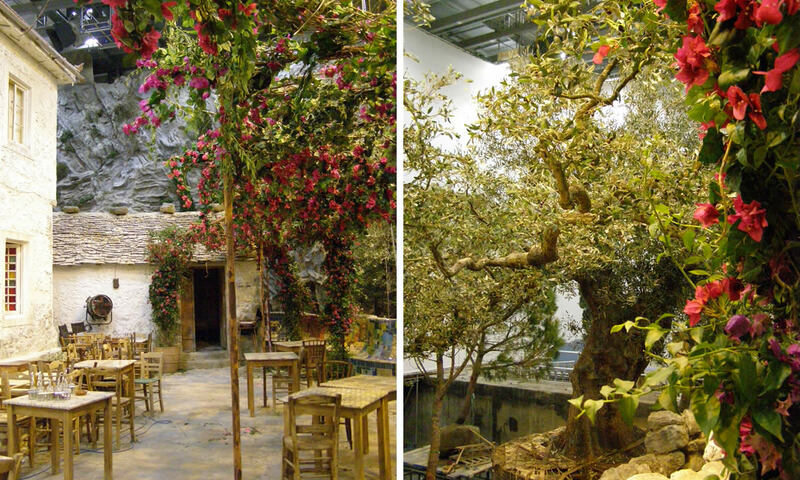 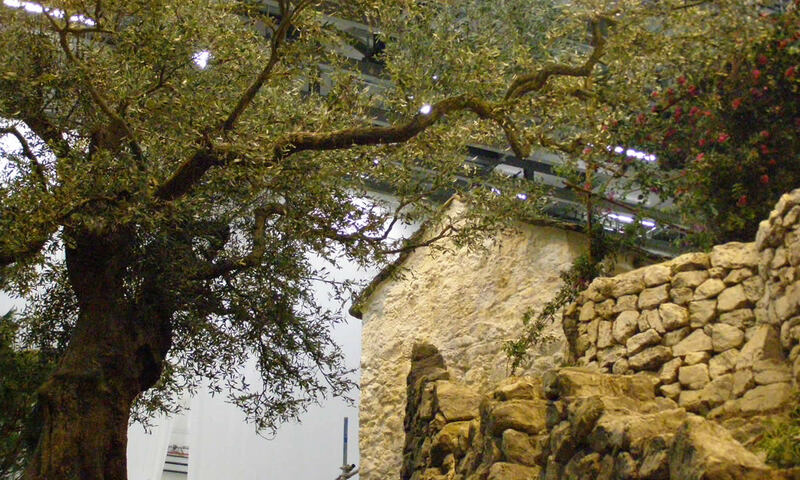 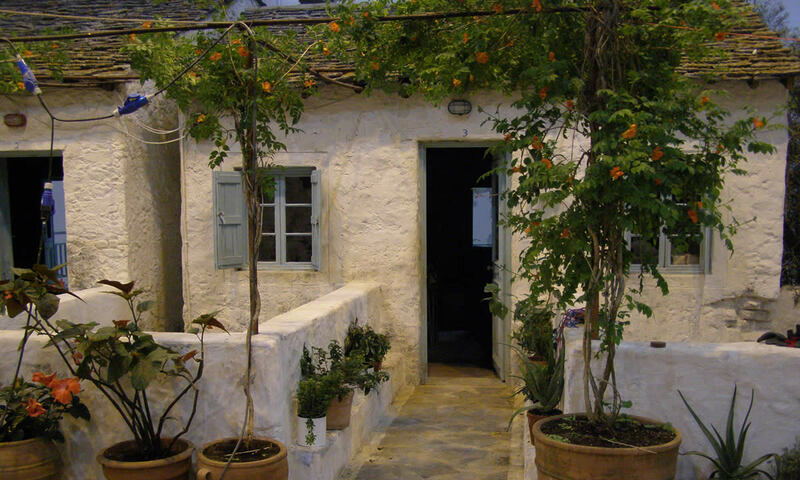 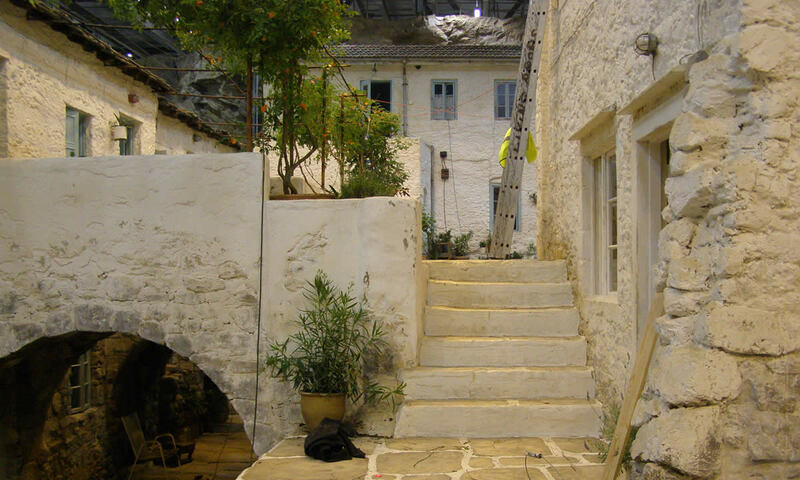 The giant Olive was a real tree to which we grafted extended Olive branches, dressed with foliage and fruit to create the authentic atmosphere of a shady Greek tavern terrace.